Atlanta Dogwood Festival 2017 | We'll See You There! Mark your calendars for the Atlanta Dogwood Festival 2017. There’s no better way to celebrate spring, than to attend this city-favorite festival in Piedmont Park, all decorated by the beautiful dogwood trees that begin to bloom at this time! This will be the 81st edition of the event and will of course take place in Piedmont Park. 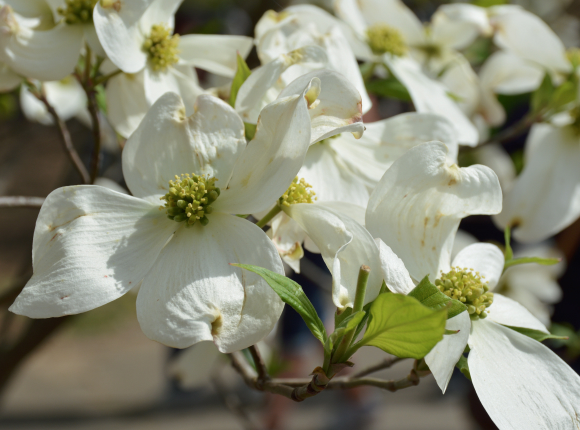 The idea for the Dogwood Festival began when retail mogul Walter Rich, founder of Rich’s Department Store, sought to make Atlanta internationally known for its the beautiful dogwood trees in bloom during the Spring. Accordingly, on April 19, 1936, Atlanta invited the world to attend the first Dogwood Festival. Pageants, parades and carnivals sponsored by the Junior League, along with performances by the Metropolitan Opera, Philadelphia Symphony, and choruses from local colleges, all were featured activities for the inaugural event. Take some time to visit Atlanta and the Dogwood Festival. Nothing is more enjoyable than admiring dogwood trees in bloom in the spring. Hope to see you there. Our profession is to keep trees health and beautiful. We do that through the careful assessment and treatment of your trees. If you have any questions about your trees, including dogwood trees, please give us a call at Atlanta Tree Professionals. We are your tree service experts serving north metro Atlanta.